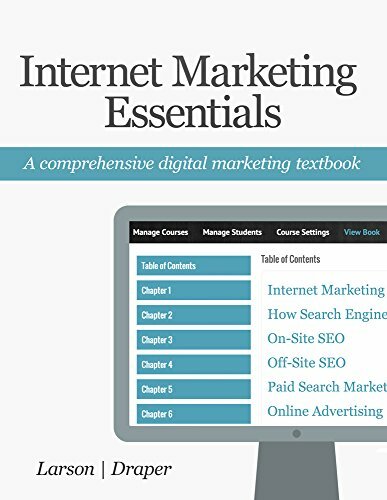 [PDF] Internet Marketing Essentials: A Comprehensive Digital Marketing Textbook | Free eBooks Download - EBOOKEE! Description: Internet Marketing Essentials is a digital marketing textbook that will keep you up with the fast-paced online marketing industry. The textbook features 13 chapters of content that teach you the principles of search engine marketing, PPC, search engine optimization, mobile marketing, social media marketing, landing page optimization, and much more! The internet marketing textbook is written by a Ph.D. from Wharton and a leading internet marketing agency owner. No comments for "[PDF] Internet Marketing Essentials: A Comprehensive Digital Marketing Textbook".